Can you relate? If so, I understand. I’ve been there, too, so we’re kindred spirits. Here’s what I’ve learned: while it often doesn’t feel like it, YOU are behind the steering wheel of your life. You have free will. You are in charge of YOU. So, if your life isn’t working out right now, it’s up to you to drive it in a different direction. There may be road closures, detours, and rough road along the way, but you’re still the driver in charge. You get to decide where you’ll take your life, how you’ll get there, how fast or slow you go, etc. Here’s the second thing I’ve learned: you need help! 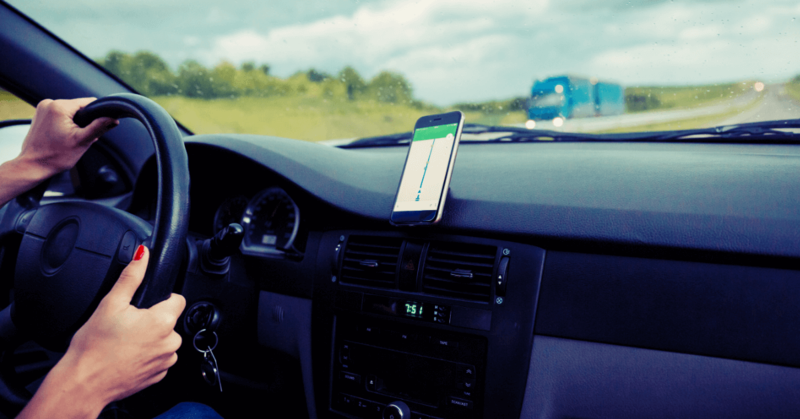 Everything you truly desire from your life is available to you, you just need a reliable GPS system to take you where you want to go, which is what we’re going to discuss here. Sometimes we have to get sick and tired of the way things are going in our lives before we’re willing and ready for new answers to appear. That’s probably what brought you to this post today; you’re at that point. In life, we must undergo difficult trials that make no sense. I hate this part of life, but there’s no denying that no one escapes hard times in life. 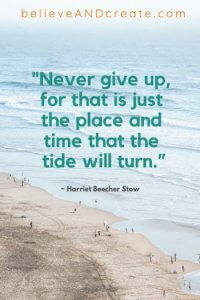 Difficult times often exist for our benefit … rejections turn into redirections; challenges lift us higher, etc. If you think I’m going to tell you that every hardship you’re going through will make sense in time, you’re wrong. I don’t know how many times I’ve read “everything will make sense in time,” but I’m not sure I believe that myself. 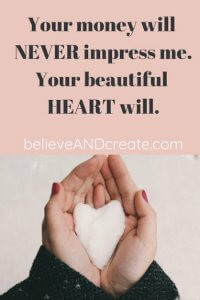 What I do believe, though, is that despite the bad breaks you’re handed, ultimately the power to create an amazing life still rests solely in your hands. Again, you’re the driver. I’ve gone through deep soul-level questioning in my life. I’ve wondered what it takes to be happy. I’ve felt cheated by how life seems to work for others and yet despite my best efforts, life sometimes doesn’t work out all that well for me. I’ve agonized over what I could do to make positive changes that would not only last but would create the happier, less-stressed, more successful, and deeply meaningful life that I longed to live. 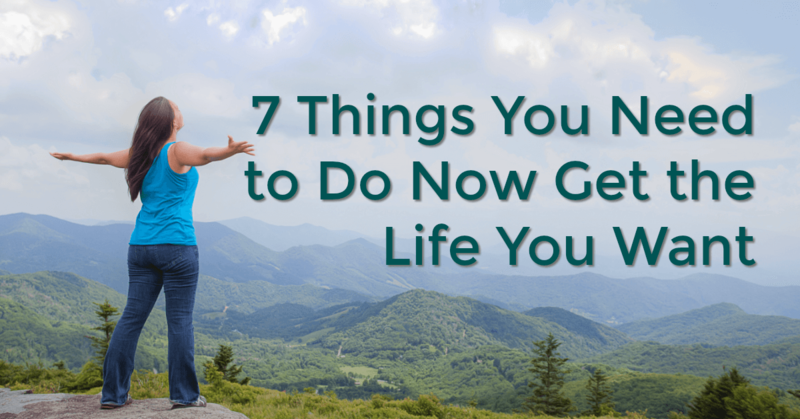 In my experience and from thousands of hours spent seeking solutions from every source imaginable, I’ve discovered there are seven things you need to do NOW to get the life you want. I emphasize NOW because the longer you wait to implement these changes in your life, the longer it’ll take you to start seeing the life-elevating results you’re craving. How do you want to feel? What matters most to you? What will bring your soul true happiness and peace? These are important questions that you should not take lightly, which is why I suggest you get some help excavating the recesses of your soul to come up with the answers that are buried within you. Danielle La Porte’s The Desire Map: A Guide to Creating Goals with Soul is a great tool to help you explore your deepest wants and desires. The book functions a lot more like a workbook, offering working sessions in life goal-setting, broken down into small nuggets that you implement daily. LaPorte is all about the quality of the journey because the journey is every bit as important as the destination. The Desire Map helps you navigate your life based on how you want to feel, not only when you reach your goals, but as you travel along your journey. Too many of us are floating through life on the breezes that carry us around in aimless ways, and we end up spending our lives where we don’t want to live, such as in loneliness, misery and regret. Living with intention puts you in an energy field that attracts what you truly want into your life. You live each day charged with the knowledge that you’re deliberately creating the life you want to live, which feels so much better than believing the quality of your life is random and out of your control. Living with intention keeps you behind the steering wheel of your life. “When you live with intention, you decide what you want your life to be. 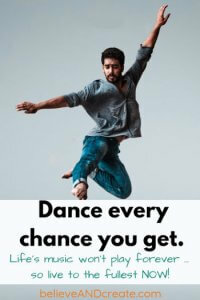 You decide how you will live each day. You decide what’s best for you. You develop deep roots that help you stay upright even when life threatens to take you down. For more information on living with intention, check out Mary Anne Radmacher’s book Lean Forward Into Your Life: Listen Hard, Live with Intention, and Play with Abandon and Wayne Dyer’s book The Power of Intention. Also, be sure to check out our related blog post about choosing mindfulness over distracted living. If you want to create a life you truly love, then you must take charge of your thought life. You will never rise higher than the level of your thoughts, so you need to take responsibility for controlling what you allow yourself to believe and think each day. It’s important that you believe that you’re worthy of receiving that which you desire. You must also start believing in yourself – confidence is your friend, as is self-acceptance. Happiness is not random; there is scientific proof that there are many steps you can take to create more happiness in your life. Two of my favorite happiness researchers are Robert Holden and Rick Hanson. I talk a lot about Rick Hanson’s work in Be Happier! A Science-Backed Approach to Increasing Happiness. His work focuses on practical actions you can take every day to live a happier life, such as recognizing “unhappiness habits” that you need to break. Robert Holden is a positive psychology expert and the author of several bestsellers on happiness, including Be Happy! Release the Power of Happiness in You, Happiness Now!, and Follow Your Joy: Six Creative Principles for Living a Happier Life. My favorite advice from Holden is to learn how to be happy with yourself, for as he says, “Unless you are happy with yourself, you will not be happy.” That’s a lesson I’m still learning to take to heart each day. 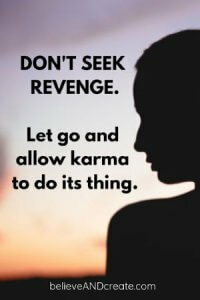 A Return to Love by Marianne Williamson is one of my favorite books of all time. Why? A Return to Love reminds us that if we live from a place of love, we can transform our lives and, to some extent, help transform the world, too. Imagine how different your life would be if every thought you think, every action you took, every moment you lived was infused with a sense of pure love and light? Yes, it would be wonderful to be a saint. I don’t know about you, but that seems too lofty a goal for me ever to achieve; however, I’m willing to start moving in the direction of love, and that’s all it takes to see miracles emerge in places where I once believed all was hopeless. When love for yourself and others takes center stage in your life, you become a magnet for receiving what you truly long to receive. Every day you get to decide to either lean into joy and happiness or lean into worry and anxiety. The choice you make will make a HUGE impact on your life. I think so many people fail to make the right choice here because they don’t realize it’s truly a choice. They mistakenly believe that happiness is random and that worry has some useful, protective power; both beliefs are false. You can’t always choose what happens in your life, but you can always choose how you respond. Again, you’re behind the steering wheel of your life. My mother was a big worrier, and I inherited that trait from her. From talking to so many people, I’ve now realized that’s often how the worry habit gets so ingrained in us … we learn it from a very tender age. Once I realized the far-reaching negative consequences of living a life in constant worry, I was determined to change my worrisome ways. 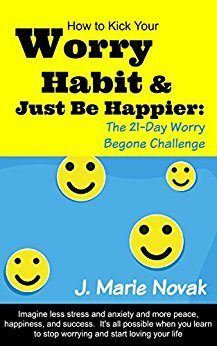 Once I did, I felt compelled to share what I learned along the way, which is why I wrote the short ebook, How to Kick Your Worry Habit and Just Be Happier. 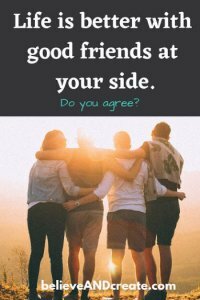 It’s based on the 21-day challenge I did with the Believe and Create community to help people finally let go of their tendency towards embracing worry rather than hope. 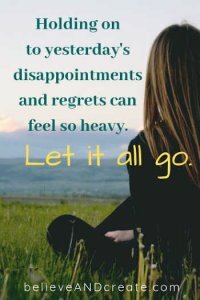 If worry and anxiety are constant companions in your life, it’s time to begin the process of letting go. 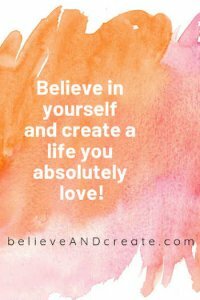 To get started, here are a couple of helpful posts on the Believe and Create blog you should check out: 6 Secrets to Help You Stop Worrying So Much and When Worry Overwhelms You, Do This. I deliberately saved “create a vision for your life” as the last tip on the list for a reason. You need to create your vision for your life from an informed state of mind. You need to understand your desires, your hopes, what keeps you up at night, how to live intentionally, and why it’s so important to live your life from a place of love rather than fear before you’re ready to set a vision for your life. 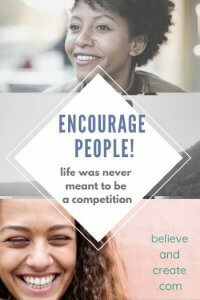 Believe and Create offers a free download called How to Create a Compelling Vision for Your Life. 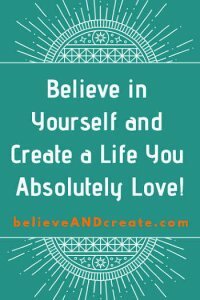 It’s a self-discovery tool that can help set you on the road to your very best life by asking you ten illuminating questions that will reveal what you value most in life, and hence, what you really want. I recommend you grab that free guide now. Three Final Thoughts: 1. Act Now. 2. Act Now. 3. Act Now. The FIRST step you MUST take to get what you want is to take focused action. Seriously, do ONE thing right now that will move you forward. You may fear making a change, but make a change anyway. You may not fully believe you are the driver of your life yet, so pretend that you do believe it and act from a place of that belief. You may make mistakes along the way, but everyone does. Mistakes give you the knowledge that will help you in your future, so allow yourself to make mistakes. You may have conflicting wants and needs, so prioritize what matters most to you. When you focus on what matters most, you simply can’t go wrong. Many people still live under the delusion that they have to make massive changes in their lives to make a difference. They fail to understand that massive changes are made by taking one small action every single day. Remember: if you bite off more than you can chew, you’ll choke. As the old saying goes, the way to eat an elephant is one bite at a time (which is a rather gross saying … let’s switch that metaphor out to “the way to eat a stack of 1000 pancakes is one bite at a time”). Now go out there and drive your life in the direction of your dreams! ← Previous Previous post: How Many of These 32 Inspiring Books Have You Read?